Where the Wild Things Are /Hawks Aloft Inc.
It’s a nondescript little place, right on the side of U.S. 550 just before the village of San Ysidro, known as the Perea Nature Trail, or the San Ysidro Marsh. With the drought we’ve had the last few years and water diversions upstream, it’s not much of a marsh any longer. For the past 15 years, we’ve monitored this site for the Bureau of Land Management as it was once one of their riparian restoration sites and may soon be again. 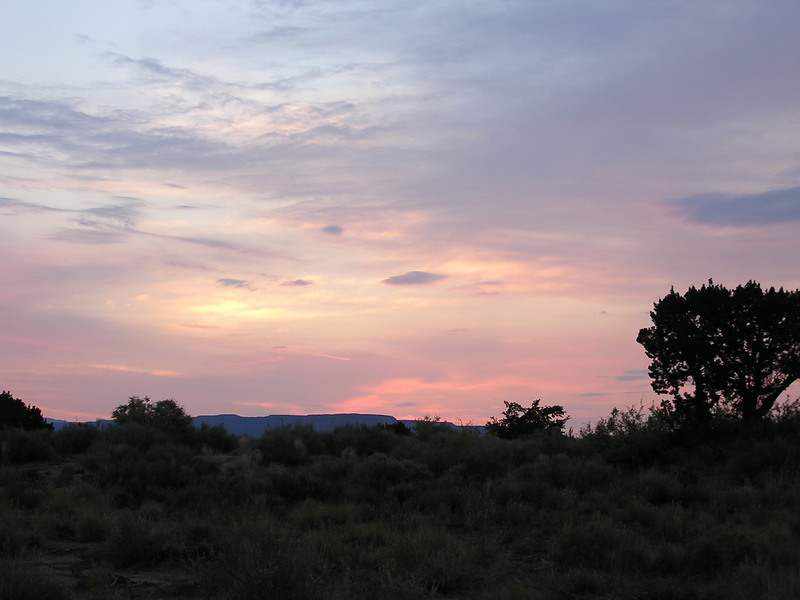 Our observer arrives before the sun crests over the Jemez Mountains. However dry the marsh may be, it still hosts a number of birds, including this Willow Flycatcher. We have had consistent detections of this flycatcher during the early season throughout the years. 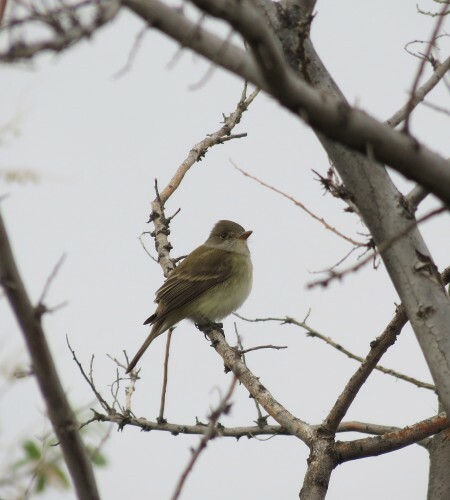 Usually they have all left by early June so it is not possible to tell if they are the northern subspecies or the federally listed Southwestern Willow Flycatcher. 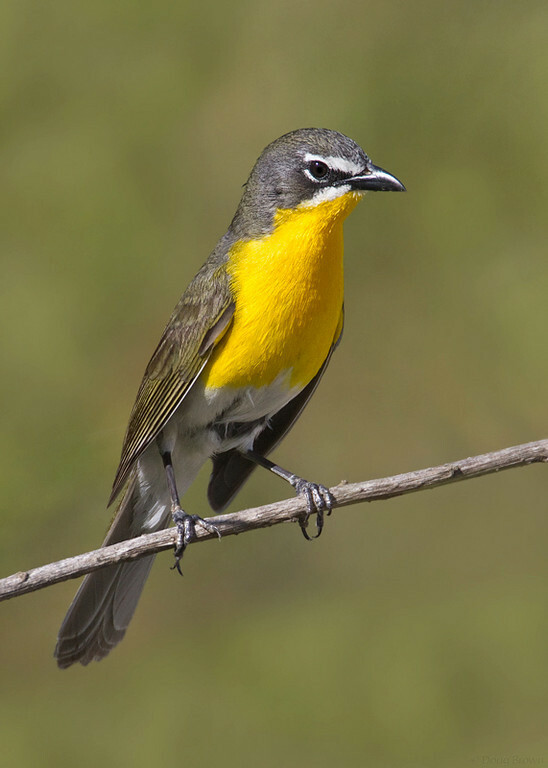 The most numerous and noisy resident is the Yellow-breasted Chat. They are everywhere! Watching their song and display flight with the breast and belly pushed out is always a treat. It seems as if it would not be possible to fly like that. 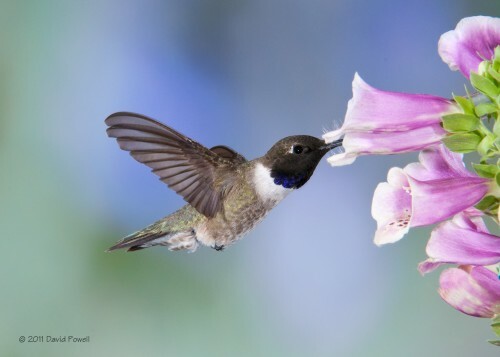 Another very common bird is the Black-chinned Hummingbird. They love the Russian olive thickets that make such good bird habitat. 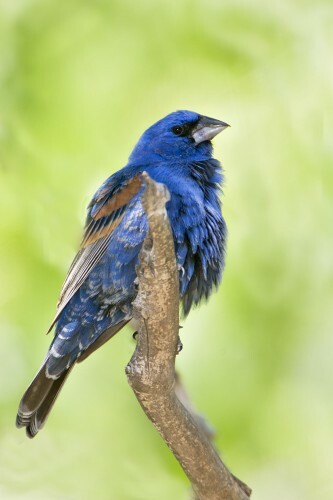 Not to be outdone is the Blue Grosbeak who sings his bubbly song from atop at high perch on a juniper or Russian olive. Recently, we have noted a considerable increase in Gray Catbird. For many years, seeing or hearing one of these secretive birds would have been unusual but, now they are present in good numbers. But, because they tend to remain low in the vegetatio,n they can be very hard to see. If you hear a cat mewing in the thicket, it is probably one of these guys. One of the most difficult birds to find regularly in New Mexico, the Lazuli Bunting, is a regular, but still very hard to detect. 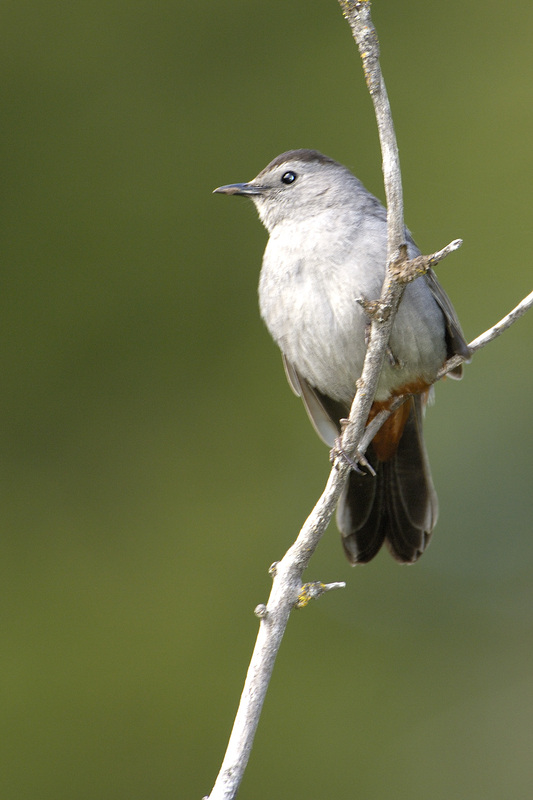 This little fellow sings with exuberance, but sits pretty darn still while he’s singing. Lastly, coyotes call this place home too. 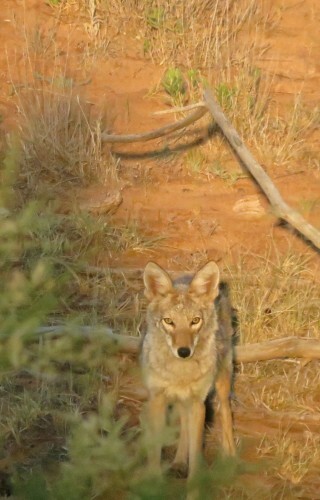 Our observer took this image on July 3, 2012 when she came upon a coyote sniffing something. She stood very still and was able to snap off a few images. It seemed that he/she was as interested in her as she was in him. Once, she began moving forward, he ran off, but soon returned with his friends. While standing at the designated point, she was treated to a coyote chorus from the pack that now surrounded her. 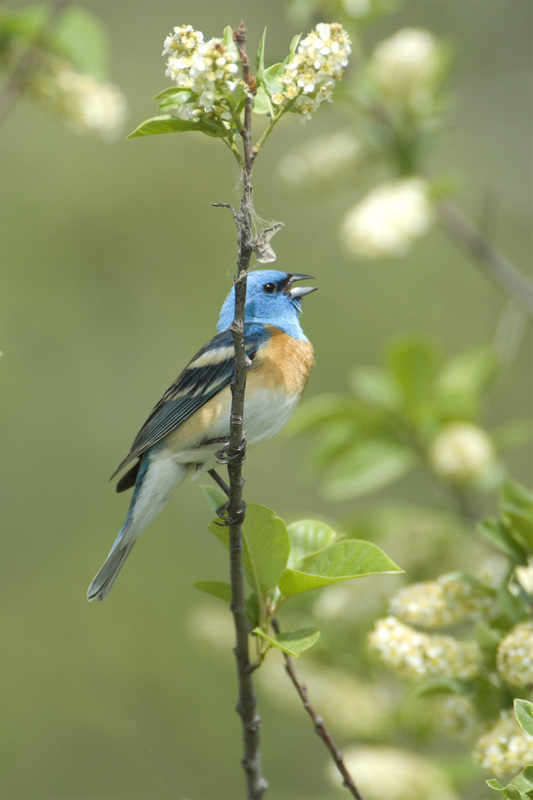 July 3 was our final bird survey of the site for our 2012 season. 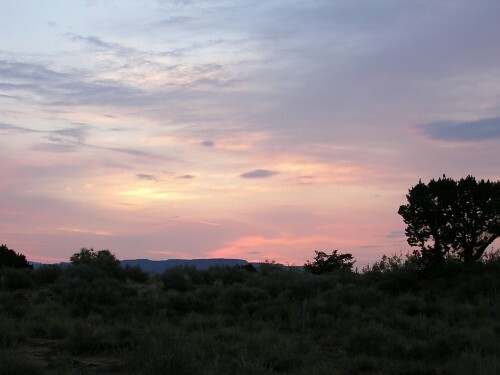 We monitor several other areas too and, in future posts, we’ll try to highlight some of the other little known and seldom seen jewels of New Mexico. We thank David Powell and Doug Brown for the use of some of the bird images above.